Apple at its WWDC 2018 conference has launched the iOS 12 update for iPhones and iPads. Apple's mobile operating system iOS brings several new changes to iPhones and iPads. Craig Federighi has said " We’re very excited about the new communications features we’re bringing to iPhone and iPad with Memoji, a more personal form of Animoji, fun camera effects and Group FaceTime. With iOS 12, we’re enabling new experiences that weren’t possible before. We’re using advanced algorithms to make AR even more engaging and on-device intelligence to deliver faster ways to get things done using Siri." Apple iOS 12 also introduces the next-generation AR Kit platform, called ARKit 2. This comes with features like better face tracking and recognition of movement of a particular subject; as well as support for shared experiences. With shared experiences, multiple users can view and play inside a common AR app. Apple has even made an app on Swift for developers to get started. In Photos, Apple has introduced a new tab called 'For You'. The feature highlights photos you took this day in the past years, apply new portrait effect, highlight shared album activity and much more. The ‘For You’ tab also includes ‘Sharing Suggestions’ feature to easily share it with certain users by recognising them in the images. Siri too gets some new updated and improvements with iOS 12. The voice assistant now supports a new feature called 'Shortcuts'. These give users an easy access to open apps and directly get the work down without tapping much on the screen. The AI also has a better 'Suggestions' feature that allows users to text the meeting organiser in case they are getting late for a meeting. It is also possible to tap on 'Add to Siri' feature in the supported app, add the phrase that will trigger it and you're done. Now, once you say the phrase or ask a question, Siri will open the particular app and dig the answer out for you before showing it on the screen. This is also supported via HomePod and iPad. Some of the other Apple apps also get updated. News app gets a 'Browse' tab to easily search for news sources and add them to your favourites. The app also gives better insight of the news on a particular topic. Apple has integrated the News app into the Stocks app as well. Now, while viewing stocks of a particular company, users will get related news as well. The Stocks app also gets a new design and is now supported on iPads too. Voice Memo reaches Apple iPad for the first time with iOS 12. The Cupertino-based tech firm has also added iCloud integration to sync it across different devices. As for iBooks, Apple has renamed the particular app to Apple Books. The app gets a new design and a feature called 'Reading Now', making it easier to pick up and start reading where users left off. Browsing for ebooks and audiobooks is easier. CarPlay, with the new iOS version, will now support third-party apps. Apple also talked on the topic of limiting the use of smartphones and other tech devices for both kids and grown-ups. 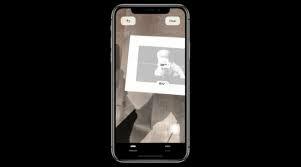 As a part of this, the company has introduced some new features in iOS 12. First up is the enhanced 'Do Not Disturb' feature wherein users will see no notifications on the lock screen when checking them at night, making it easier for them to get back to sleep. The feature can be set based on time and the location. Secondly, the firm has made a major change in the notifications management system. Apple iOS 12 will now stack multiple notifications together so they don't take much screen space and show one notification at a time. Parents can also set screen time for a particular app for their kids. In addition to this, Apple has introduced App Limit wherein you can set your own limit for using a particular app. The device will show notification alerts when the time runs out. The new Messages app get a major upgrade in the Animoji section. Apple has now introduced something called 'Memoji'. This is similar to Animoji but shows the user's face instead. Everything is customisable including the skin colour, hair, facial hair and much more. This comes in addition to some new Animoji characters - Ghost, Kuala, Tiger and T-Rex. The Messenger Camera also gets some new camera effects. FaceTime gets one of the most requested features, group video calling. The feature supports as many as 32 simultaneous users in FaceTime. The person talking is automatically shown in the larger tile which other tiles shrink. All of them can use a live Animoji or Memoji during a call.